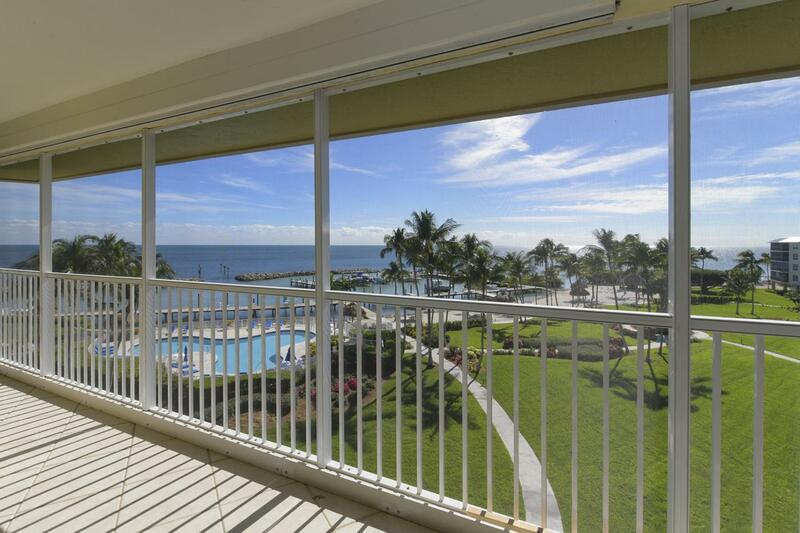 Fabulous Ocean front location on the top floor, end unit with spectacular ocean views. 3 bedrooms and 2 full bathrooms with oceanfront porch adjacent to living room and master suite. Ocean views from living room, master bedroom, dining area, and kitchen. 35' boat slip included in brand new marina. This unit is being sold fully furnished.This is Islamorada's premier oceanfront community. Complex offers oceanfront swimming pool and jacuzzi, owner's club house, gym, sandy beach with tiki huts and grilling area, protected dockage, lighted tennis courts, and beautiful ambiance throughout the manicured landscaped property. This is an opportunity to purchase a fabulous Islamorada condominium at a great price. Listing courtesy of Bill Hart of Ocean Sotheby's International Realty.